Poor time management is a real deal breaker no matter what you are trying to accomplish. To be honest, with over 40 years in the corporate environment, it is one of my "pet peeves". Don't get me wrong, I understand the constant push and pull of today's demanding lifestyle. 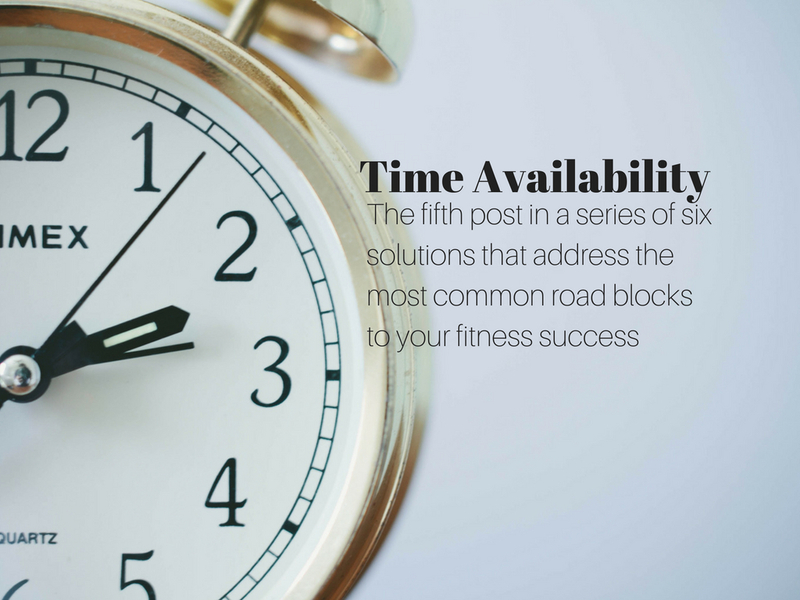 It's truly a juggling act everyday and prioritizing is a must, and usually that scheduled workout or trip to the gym falls to the bottom of the list. It's easy to rationalize your decision to miss that workout, based on the fact that you just ran out of time. However, that cancelled workout is actually a casualty of poor planning. Here's what I mean. 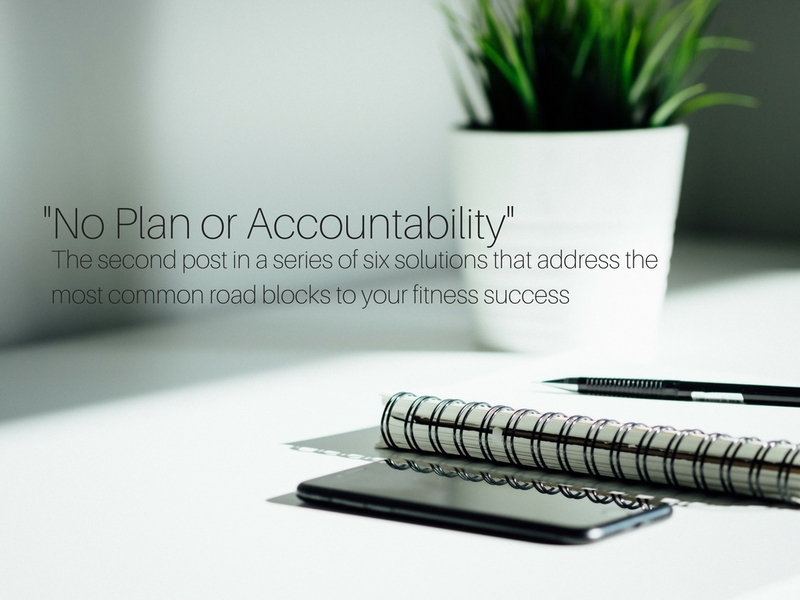 This goes right back to my second post on the most common road blocks to your fitness goals "No Plan or Accountability". Time Management will always be a challenge. This is exactly why your fitness activity plan should include flexible alternatives or, if you will, a plan B and maybe even a plan C.
1. It's been a stressful day and I need the time to unwind. This is all about accountability and the level of importance you place on your overall health. It has been proven that exercise is one of your better stress relievers. 2. I had to work late today and by the time I go home eat, change, and go to the gym. It will be too late. You just need to be prepared. Keep a packed gym bag with workout clothes, water, and a nutritional snack in your car at all times so you can go straight to the gym. This way you keep the momentum from your workday, increase your energy levels, and earn that sense of accomplishment. 3. Something came up and I won't have time to go to the gym and complete my workout. So, I'll just cancel today. We could keep going because we can always find an excuse, but these are the three most common. What's even more concerning is that these excuses have a tendency to snowball and before you know it, your fitness goals are out of reach. "I just don't have the time" in any shape or form is not a viable obstacle or excuse. It's all about the value you place on your overall health and the adjustments you are willing to make. 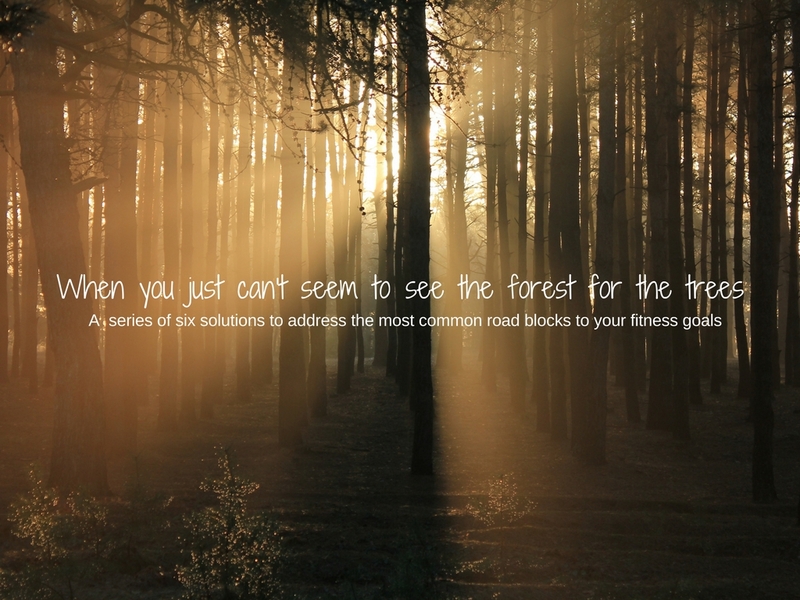 This is something that most people don't really think about when they decide to hit the fitness and better health trail. It's usually - OK I'm going to get in better shape, joining the gym, problem solved. Then you walk into the gym for the first time and rather than "problem solved", it’s confusion and anxiety. 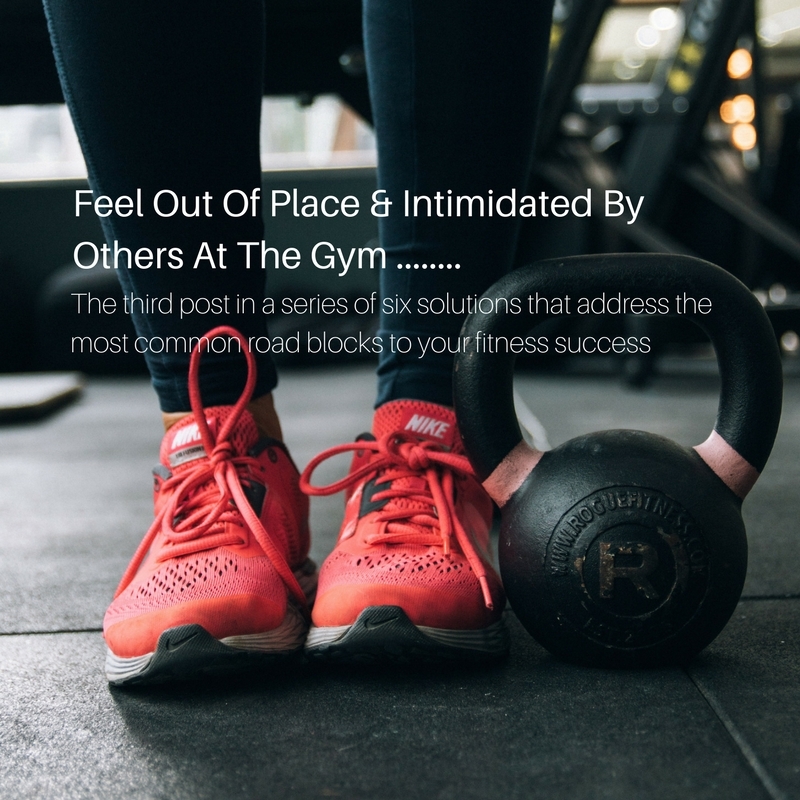 There is a lot of activity, fitness and cardio equipment, all types of weights, classes and it looks like everyone knows what they are doing but you. You may be right, but you are not alone and many can't get past this road block. With that in mind, you can take the quick way out and quit or you can take a look at how to minimize this obstacle and reach your fitness goals. It's all about the planning. Ask yourself these questions. What do you want to do? What needs to happen to get you there? What available options work best for you? After you answer those, you develop a road map that best supports your efforts, encourages accountability, and provides the needed flexibility to help adjust when needed to ensure your plan's longevity. Understand this is a learning process and it doesn't happen overnight. Turn your mistakes and misunderstandings into positive adjustments that will enable you to move forward. Choose a gym that provides options and introductory guidance plans that will help you through the learning process. Start slow and rely on cardio equipment and structured classes to get you on the right track. Keep workout sessions to 45 Minutes working all muscle groups in a vertical circuit. Always have at least one day of rest before your next workout. Cardio works best between workout days at 20 minutes per session. Mix it up by replacing a workout or cardio day with a yoga or Pilate's class. 1. Invest in a personal trainer: Do your research. Avoid the pre-packaged deals, and make sure the trainer you choose illustrates the proactive approach to invest in your needs and is competitively priced. The going rate today is $60.00 for a 1 hour session. In many cases, personal trainers have their own training sites and you wouldn't need to invest in a gym membership. 2. Invest in a remote personal training program: Again, do your research. For your reference, I have included a link to my site which includes an overview of my remote training program. Just click here and select services. You will find that my remote program is very interactive, sensitive to your needs and provides the needed support, benchmarks, and encouragement to ensure you get results. Take a look, I think you will find it compelling and please message me from the site if you have any questions. If you are one of the many that quit because you just didn't know what to do, I sincerely hope this gets you back in the game. Fitness for better health is a lifestyle with a real future. Until next time, enjoy your workouts. This is bigger than you would think and deters many people before they even get started. Does this sound familiar? You have decided to get fit. Your plan is to join the gym, workout four times a week, and everything will work itself out. However, when you get to the gym for the first time everything changes. 2. You're really not sure what to do. 3. You compare yourself to others in the gym. 4. You feel like everyone is judging you. 5. You get that uncomfortable feeling you don’t belong. 2. Bring a friend or workout buddy. 3. Avoid peak hours so you don’t have to wait for equipment. 5. Keep in mind everyone is there for the same reason, to workout, not watch you. A sixth consideration would be to invest in a personal trainer until you feel comfortable designing and completing your own workout sessions. Personal trainers provide a great support system, the latest workouts, and that needed buffer between you and the initial intimidation. Set Up Your Own Gym At Home: You really don’t need a lot of space or money, and it can be just as effective as the gym. 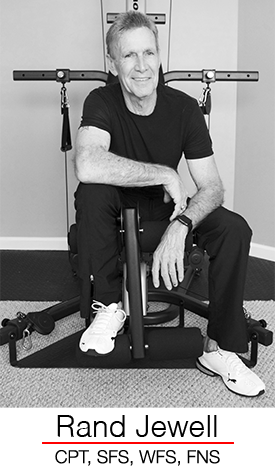 If you are not sure what to get or how to use workout bands, stability balls, etc., click HERE for my post on setting up a home gym and remote training. Go Outside: Ride a bike, walk, run, hike, jump rope, swim, and climb. During the colder months, any of these can be accomplished inside. I'm sure there are many more options so find what's right for you. It's like anything else in life. If you feel out of place, you just need to find the right fit and establish a plan to eliminate those road blocks. As you can see, your options are just about limitless. Just find your balance, keep it simple, and get results. Until next time, enjoy your journey to better health and fitness. "A plan is typically a diagram or list of steps with timing and resources used to achieve an objective." Simply put, your plan should be the road map to your ultimate fitness goal. Now that you have decided what you want to do, how are you going to do it? Let's take a look at what you need to consider when developing your fitness goal plan. The biggest challenge will be time management. You need to decide how much time you are going to invest, where will it fit comfortably in your current lifestyle, and commit to those time frames. Next, you need to consider how you are going to use that time to ensure you take full advantage of that investment. Then prioritize and create the right balance between exercise (weight training, cardio, group classes, etc.) rest, and diet guidelines that coincide with the benchmarks you established within your ultimate goal. Keep in mind that things will change along the way. That's just life. So, you will need to keep track of your progress and depend on your designated benchmarks to make any needed adjustments to stay on track. Once completed, you will have created the consistency and accountability needed to accomplish your goals and drive your continued success. There are plenty of resources available to help you design and track your plan. You can write it down, use a calendar, spread sheet, or apps designed for your smart phones or tablets. Just make sure that it's something you are comfortable with and will use on a daily basis. In addition, I have included links to some of my previous posts that should help guide you through designing, tracking, and prioritizing the needs of your plan. We are almost 3 months into 2018. 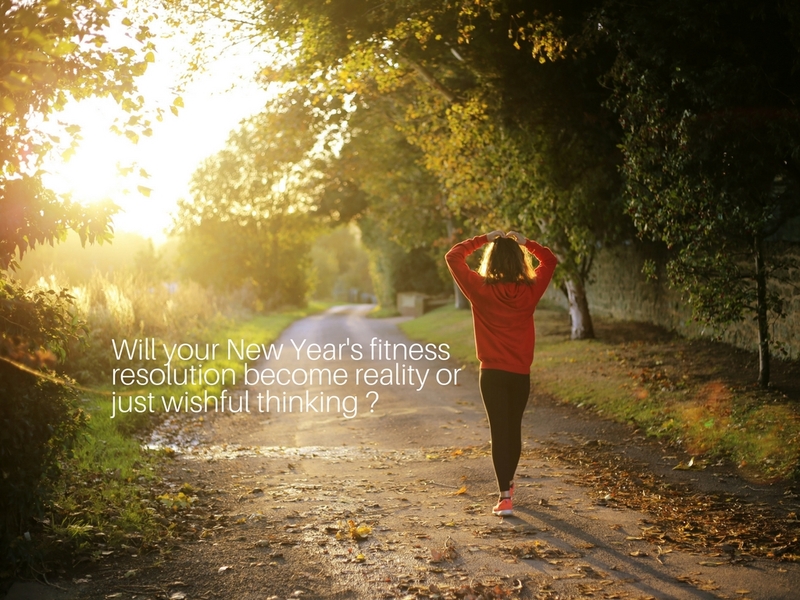 So how are you progressing towards your New Year's fitness resolution? If you are a little skeptical at this point, you are not alone. This is when the excitement and enthusiasm starts to dwindle. You may be starting to feel overwhelmed, lost, and you just aren't sure if its all worth the effort. You are not alone. This is where about 50% of all fitness goals end and it's always for the same reasons. 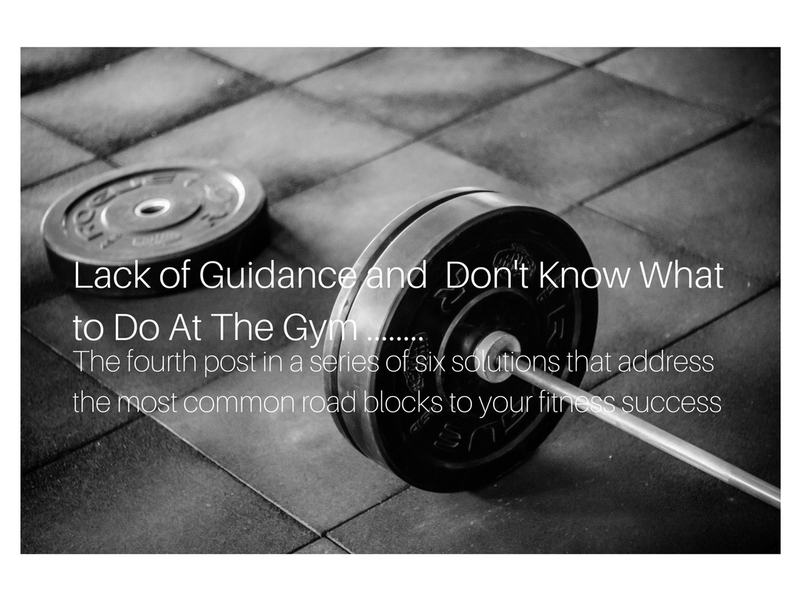 There are a lot of things that can get in the way of your progress and through this series I will address the 6 most common reasons the failure rate is so high. Today we'll be dealing with "Unrealistic Expectations". It's all about results versus expectations. This is where we tend to bite off more than we can chew and, as a direct result, we set ourselves up for failure. What you need to do is break your ultimate goal down into more realistic or achievable benchmarks. These benchmarks design a path towards your ultimate goal and should be time dated to monitor your progress. At these checkpoints, reward yourself if you hit the mark. What kind of reward? It should be unique to your needs, and should also serve as a visible reminder of your progress. If you didn't hit the mark, evaluate why and make the necessary changes to get back on track. This provides you with tangible results in digestible bites and keeps your fuel tank full. Bottom line, staying fit is always a challenge. Whether it's diet, exercise, motivation, time, or accountability, your success will always be dependent on the path you create and the timely adjustments you make. The next checkpoint in this series will be "Developing the Right Plan and Accountability". Until then, enjoy your journey to better health and fitness. Everyone starts off with good intensions. However, researchers have indicated that the first two weeks everything is usually going along beautifully but, by February, people are backsliding and by the following December. Most people are back where they started. In fact, recent studies have indicated that 45-50% of the population make resolutions every year but, only 8% achieve their goals. bad habits. This procrastination, along with setting unrealistic goals, accounts for the high failure rate. 1. Set realistic, specific, and time bound goals that are broken down in digestible pieces. Make sure you are able to reconcile at each benchmark and either celebrate your success or make the needed adjustments to stay on track. Log and track your workout progress. This is the only way you will be able to determine what's working and what's not working. Log and track your daily food intake. I have always recommended Fooducate. It not only tracks your intake, but provides you with the needed information to adjust and stay on track. Remember, you are 80% of what you eat. Have an accountability buddy. This should be someone who is close to you that you have to report to; this could be a Personal Trainer, a family member, a close friend, or even someone who is taking the same fitness journey as yourself. 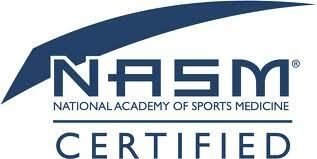 I have always emphasized proper, realistic goal setting and accountability as the key to better health and fitness. Below I've linked past posts for you to browse that offer more details into achieving your resolutions. For those that are close, I provide hands on training that would be tailored to your goals for 2018. If you spend most of your week traveling or live outside the Atlanta area, I encourage you to checkout my remote training program. Just click here and complete the questionnaire and we can get started. I wish everyone the best as you reach out and accept new health and fitness challenges in 2018. It's not only the most wonderful time of the year, but the busiest. Finding time for all of your family and friends, shopping, parties, and travel plans is a juggling act in itself. 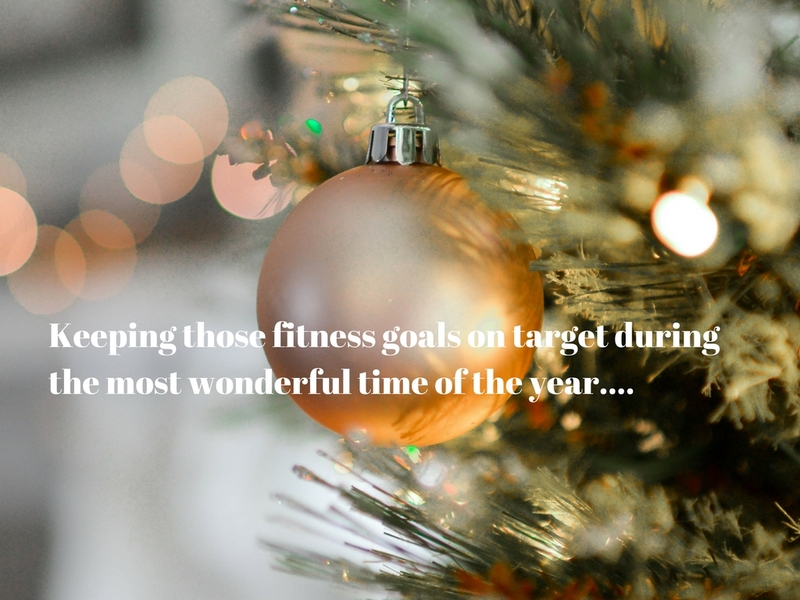 Much less finding the time and effort to keep your fitness goals on target. Unfortuntely, for many, that is easier said then done. Time management will be your biggest hurdle. Even the best of intentions are challenged this time of year. Things just pop up out of no where. So, each day you will need to evaluate, prioritize, and adjust to accomplish your objectives for that day. Squeezing in those workouts is usually the biggest challenge. Remember its all about quality not quantity. So, keep those workouts at 20-30 minutes with highly efficient verticle workouts that include combo type exercises. You can refer to my post on creating effecient workouts by clicking HERE. As far as cardio, there are more accessible resources in walking, running, jumping rope, bike riding, etc. There is certainly no shortage of food, holiday "spirits", and over indulgence. Know your limits and hold yourself accountable. When it comes to cardio, you can do 10, 20, or 30 minutes at a time which makes it a much easier fit into those busy schedules. If you haven't already, check out the Fooducate App to track your food choices with ease. Click HERE to review my post on Fooducate. If you have made a lot of progress to date, you don't want to lose that momentum. So stay focused, be consistent, and hold yourself accountable.